Sometimes a simple stress relief gift is all you need to unwind a little and get the relaxation your heart desires. Being a mom is a hard job, and can lead to juggling a handful of tasks at once. 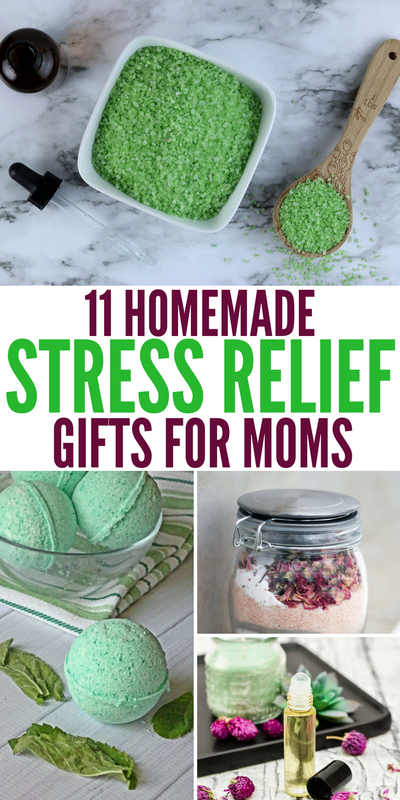 With fussy toddlers to busy working moms, these stress relief gifts below can help soothe their cares. You can make all these gifts at home, wrap them up nice and pretty and be a blessing to her on a hard day. Even if you don’t consider yourself to be that crafty, you might find these DIY stress relief gifts to be relatively easy to make. I gathered a handful of bath soaks, bath bombs, stress balls, and more. Check out these stress relief gifts you can buy if you are not huge on doing it yourself. These gifts are sure to be relaxing to anyone who is struggling. Or whip up some of these perfect chocolate Instant Pot cakes, to take over to a stressed mama to enjoy a slice or two. Chocolate is always helpful for stress. This DIY lavender milk bath is a perfect way for the stressed momma to dip her toes in a warm bath and just soak and relax and forget the stresses of the day. Learn how to make your own DIY stress ball. This is a great gift alone or toss in a stress relief gift basket for them to squeeze when they are feeling overwhelmed. 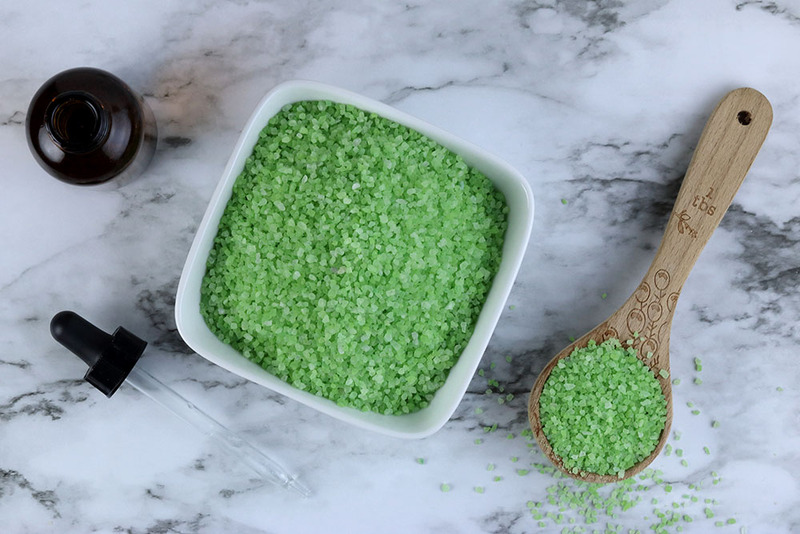 Stress relief bath salts with eucalyptus and spearmint will not only wash away the stress but the aroma is delightful and absolutely soothing to the mind and the body. Sometimes a homemade foot scrub to do a little DIY pedicure can bring a little joy and happiness to the day. Nothing like having silky smooth feet with a fresh coat of polish. I love a nice DIY headache bath bomb to toss in when I go to wash off for the night. That tension headache instantly disappears. This would make a great gift for a friend who is struggling with feeling worked up. Lavender linen spray is a great gift to give so they can spritz their bedding before they head off to sleep. So that when they lay their head it wipes away the stress and allows a quick and deep sleep. 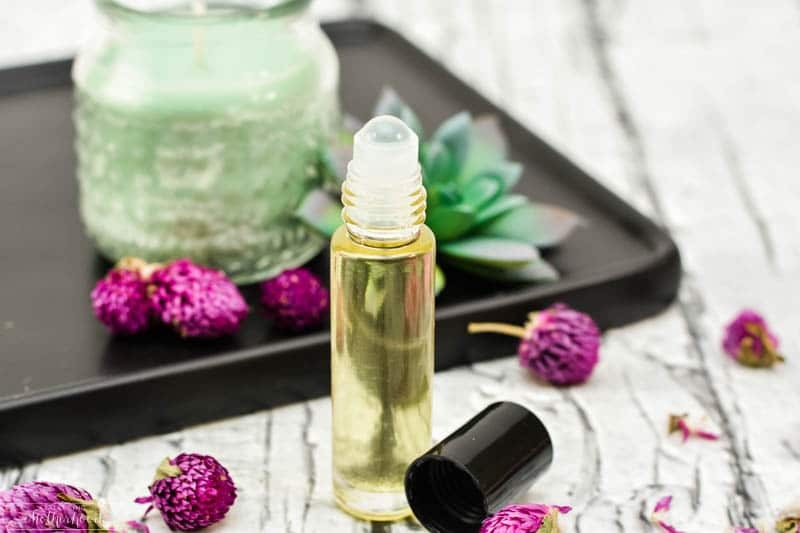 Another great one if you are a fan of essential oils is this essential oils for anxiety roller ball. It is a blend of essential oils that will help wipe away that anxious feeling lurking. Get silky smooth skin and cast those cares with this rejuvenating body butter for stress. This butter is also great for minimizing scars on the skin and hydrating. 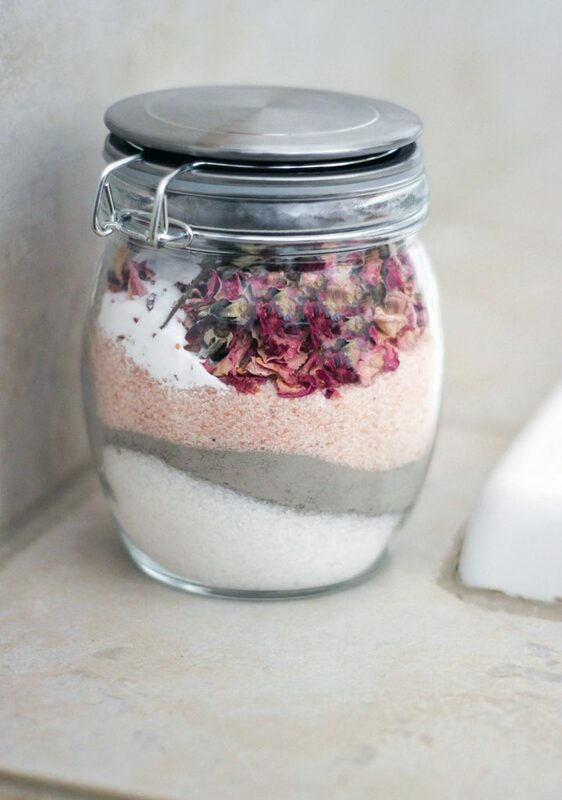 The aroma of this rose petal bath soak will instantly wash away those worries you might be feeling. I love giving a gift like this to a loved one, especially overwhelmed moms. They always appreciate a nice bath after the kids are in bed. This mint and lemon sugar scrub will exfoliate the skin nicely, and the aromatherapy is a wonderful way to relax and boost your mood. 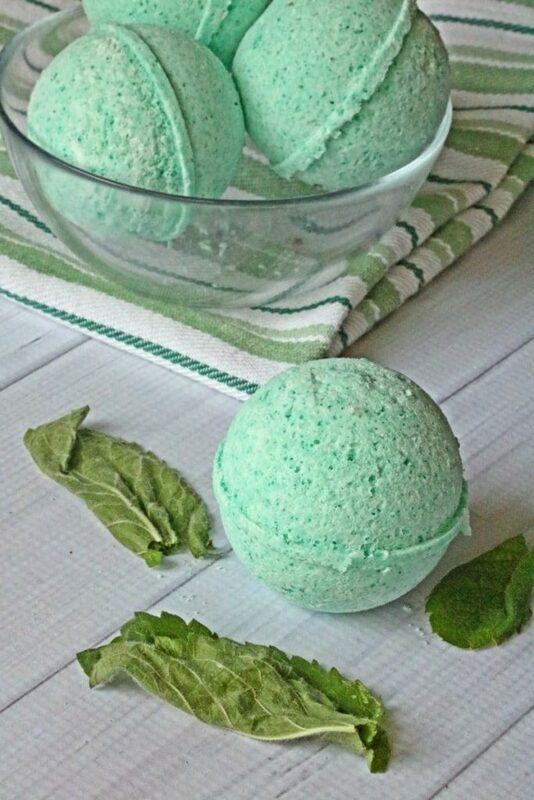 Check out this peppermint bath bomb recipe. 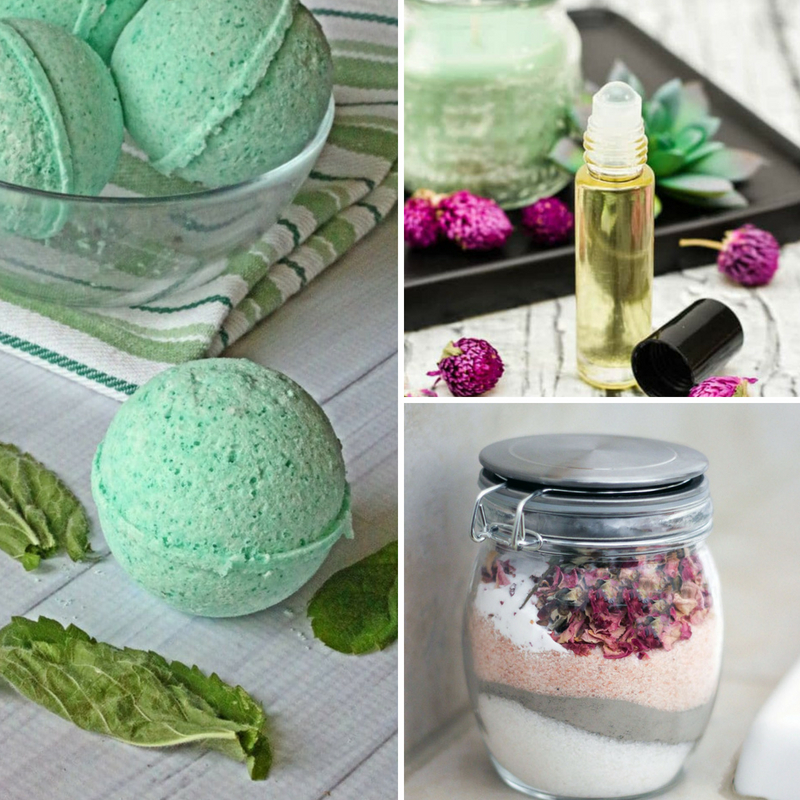 A few ingredients for a minty and soothing bath bomb to soak your cares away. Do you like to make homemade stress relief gifts like this?